Hiring A-caliber managers is perhaps the biggest challenge any building service contractor faces. A bad hire can cost you thousands of dollars. However, getting the right managers “on the bus” can generate big wins for the company. 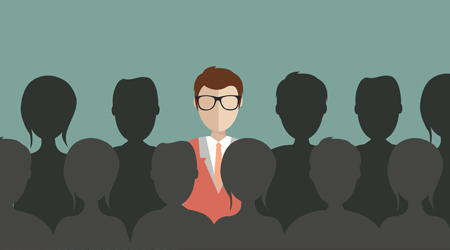 So what should you be looking for in a potential manager? At a minimum, your manager hires should display these four traits — and not one of them is industry experience. Humility: Great leaders are humble. Humility is not some self-effacing, woe is me attitude that allows people to walk all over you. Rather, humility results in a quiet confidence that doesn’t need to boast or be recognized. Humble leaders are able to put the needs of the company and others above their own. Such an attitude wins the affection of janitors and ensures higher output. A leader who lacks humility is certain to have difficulty leading a crew to do a job most wouldn’t do for pay many find undesirable. Driven To Succeed: Your managers need to be hungry. By hungry I mean motivated, competitive and determined to succeed. You do not want managers looking for a J-O-B. Rather, hungry leaders want to win. They want to be the best, proving to the customer and you they are the right fit. What is particularly interesting about hungry people is that while money is certainly a driver, challenges and accomplishments are bigger motivators. A team of hungry players will not need micromanaging to achieve the goal. They just need a goal, and they will go crush it. Blue Collar Professionalism: Finally, our managers need a skill set that will help them face a unique challenge. They must be able to relate to a low-skilled workforce one minute, then interact with managers and executives the next. Managers must train workers to clean toilets and pull trash, then shift gears and sell add-on services or renegotiate a contract. This takes a special skill set. A 100-percent white-collar manager can’t relate to the blue-collar workforce, but a 100-percent blue-collar worker will have difficulty dealing with corporate management. Therefore, the ideal janitorial manager is someone who possesses a professional skill-set while maintaining enough blue-collar relatability. Find a candidate who possesses these traits and you’ve likely identified an A-player.